A shrewd investigator and an expert marksman, Special Agent Alexandra LaDuca can handle any case the FBI gives her. Or can she? Connecting the dots between an assassination attempt in Ukraine, a murder in Paris, and a brutal attack on a remote village in South America takes Alex on a dangerous puzzle-solving, soul-searching journey that changes her forever. A shrewd investigator and an expert marksman, Special Agent Alexandra LaDuca can handle any case the FBI gives her. Or can she? While on loan from the U.S. Department of the Treasury, Alex is tapped to accompany a Secret Service team during an American Presidential visit to Ukraine. 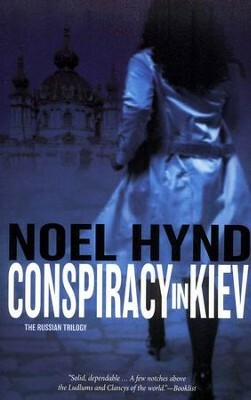 Her assignment: to keep personal watch over Yuri Federov, the most charming and most notorious gangster in the region. Against her better judgmentand fighting a feeling that shes being manipulatedshe leaves for Ukraine. But there are more parts to this dangerous mission than anyone suspects, and connecting the dots takes Alex across three continents and through some life-altering discoveries about herself, her work, her faith, and her future. 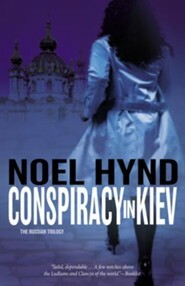 Conspiracy in Kievfrom the first double-cross to the stunning final pagesis the kind of solid, fast-paced espionage thriller only Noel Hynd can write. 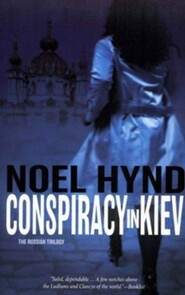 For those who have never read Noel Hynd, this first book in The Russian Trilogy is the perfect place to start. Noel Hynd has sold more than four million copies of his books throughout the world, including The Enemy Within and Flowers From Berlin. 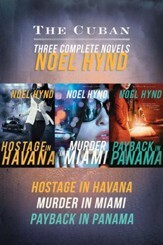 His most recent novel, Hostage in Havana, is the first book in the Cuban Trilogy starring Alexandria LaDuca. Hynd lives in Culver City, California. For everyone who asks, receives (Matthew 7:8), and Alexandra LaDuca is going to have to ask for a lot if she wants to make it out of her newest mission alive! 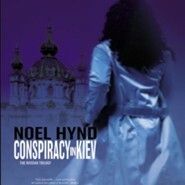 Conspiracy in Kiev by Noel Hynd takes you on a journey no mystery and suspense fan will want to miss. When Alexandra is sent to the Ukraine to deal with the massive, charming Yuri Federov, her life is changed forever. Its an experience that both breaks and makes her as a person. As Alexandra first begins her mission, she isnt sure what to think. She is torn between doing her duty and feeling manipulated. But when she finally meets Yuri Federov, she doesnt have time to be torn. Federov is a powerful gangster who stands as tall as any athlete in the NBA, with a Russian build to boot. Not only that, but hes charming and calculating. Alexandra manages to get what she needs out of Yuri, but at a price. He asks her to go with him to a nightclub, and in spite knowing the extreme risks, Alex agrees to go. But will she be ready for what lies ahead? On top of this intriguing plot, readers will be able to share in Gian Rizzos investigation of several disturbing murders. The plot gets thicker and thicker with every page. The book is written well, with most chapters being short, ranging from 3-5 pages. This makes for a seemingly fast-paced plot, despite the length of the book. Readers who hold a disdain for long, drawn out chapters will find the setup of this book refreshing. They will also meet many characters, all crucial to the main plot without holding the story as their own. Some of the story may be a bit clichéd, but it doesnt take away from the enjoyment. What if the Lord had not been on our side? (Psalm 124:1). Alexandras faith and prayer life grow as she meets her challenges, and one might ask what might have happened to her if the Lord hadnt been with her. Thats one of the messages of this book: God is with us in all that we face, and because of this we have reassurance. What would happen if He was not? I'm the author/artist and I want to review Conspiracy in Kiev, Russian Trilogy Series #1.